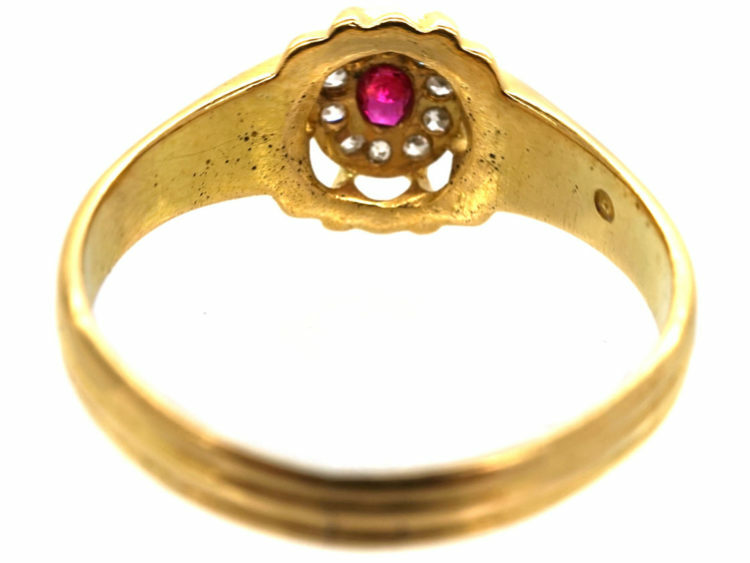 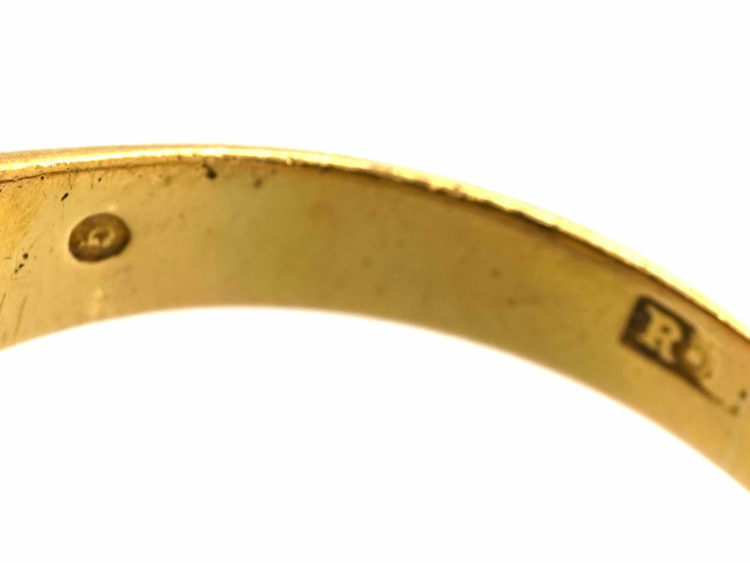 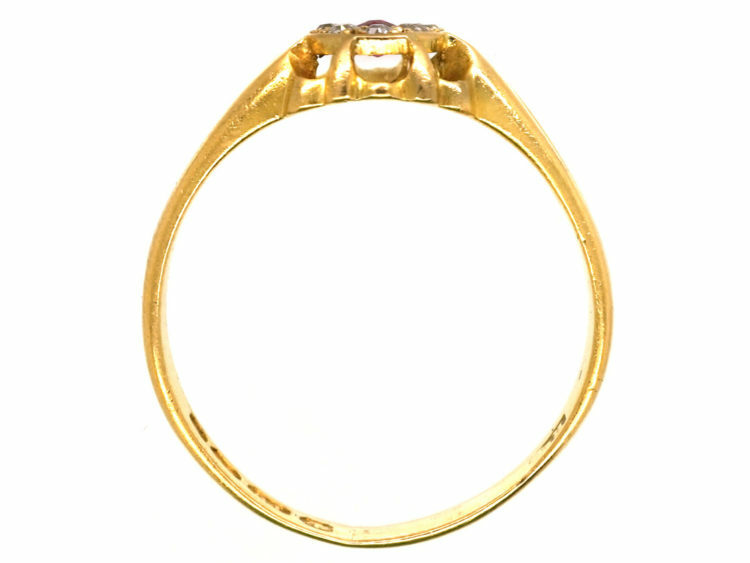 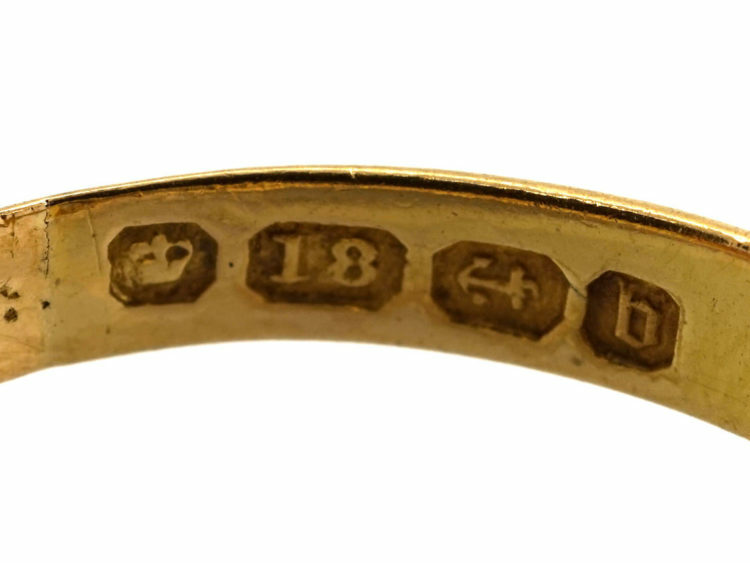 An interesting 18ct gold ring that was made in 1876. 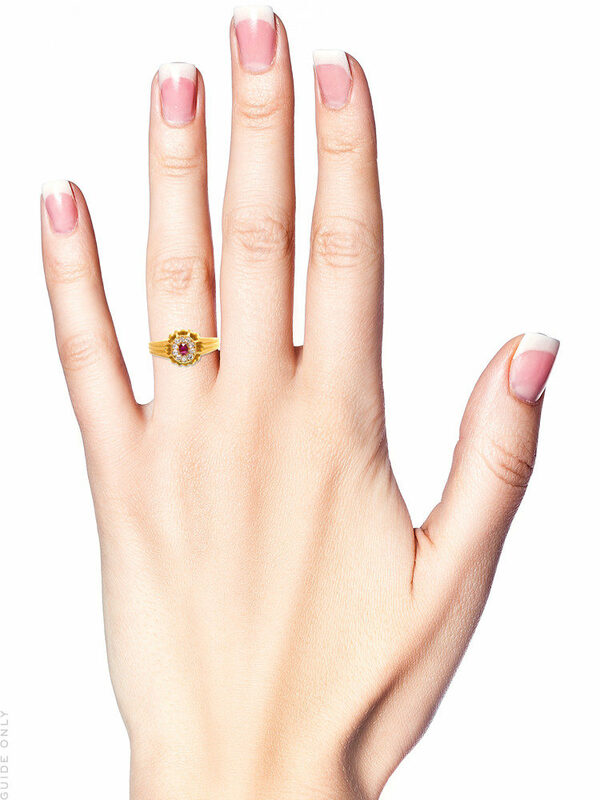 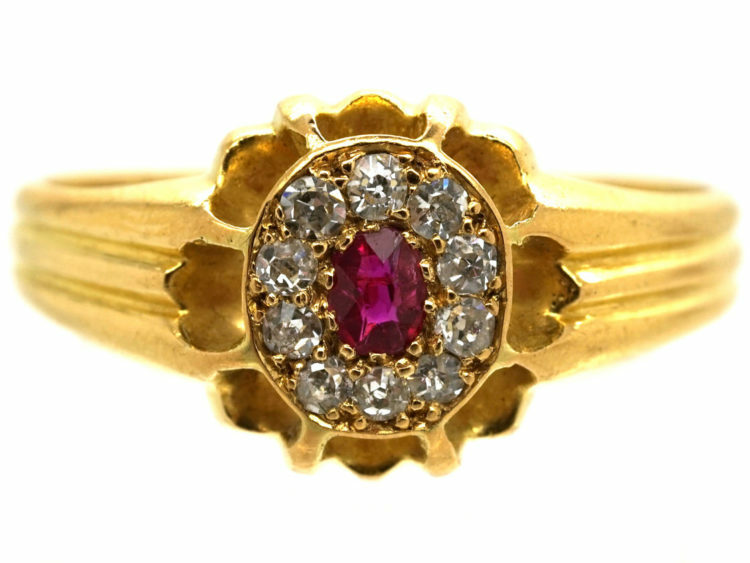 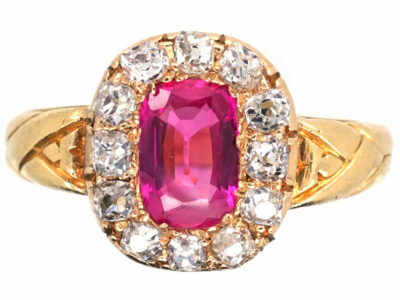 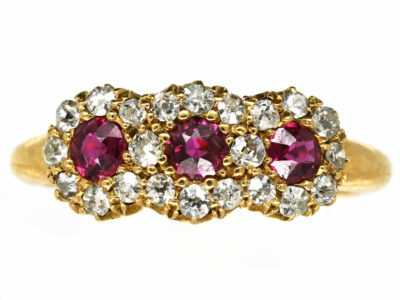 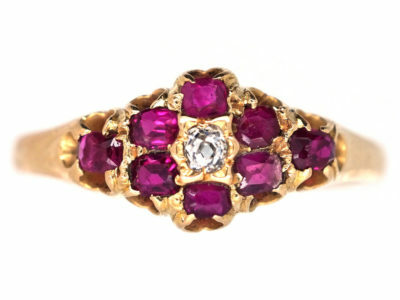 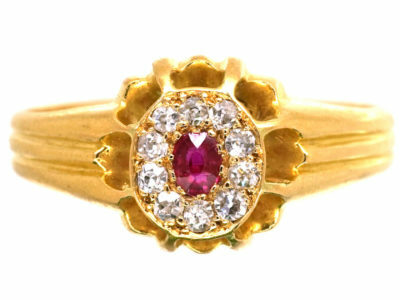 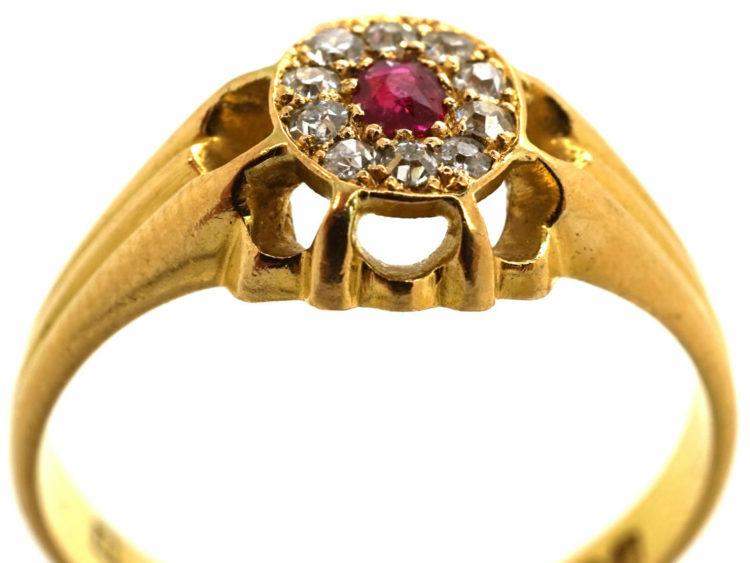 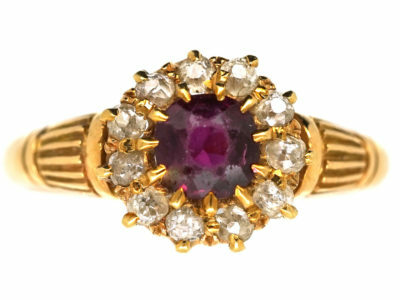 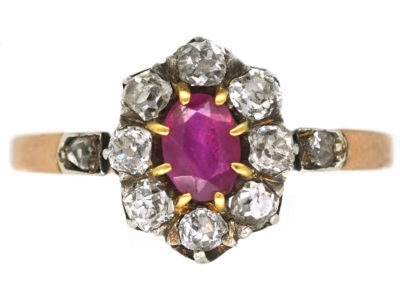 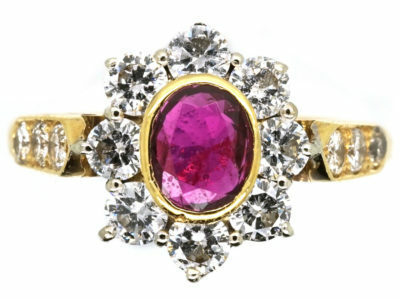 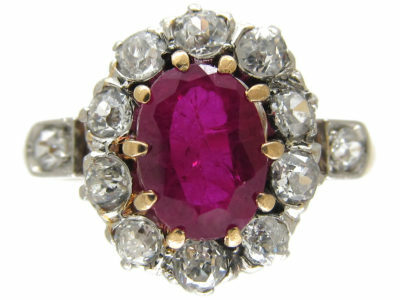 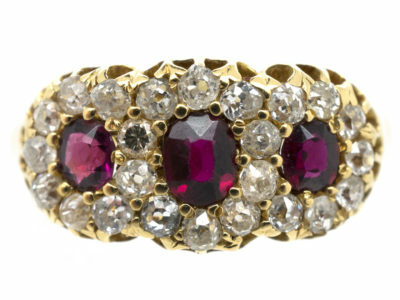 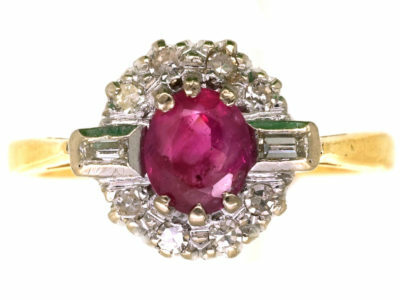 It has a central cluster with an oval ruby with small diamonds around it. 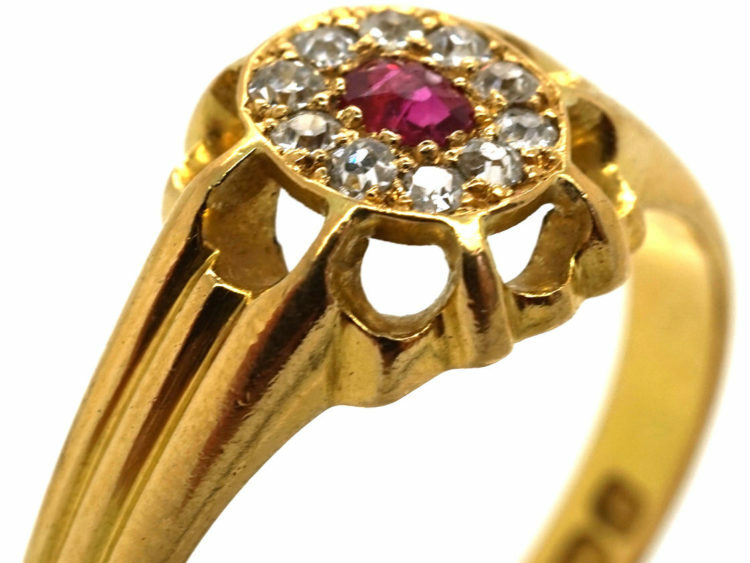 The cluster is held in an openwork claw design. 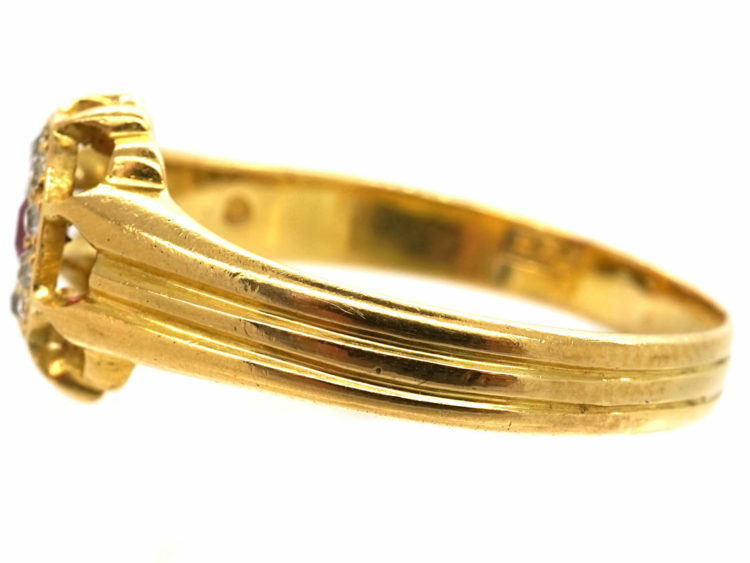 The shank is fluted. 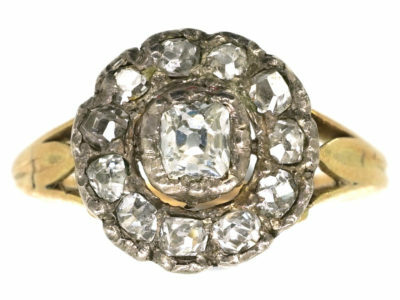 It would make an unusual engagement ring.